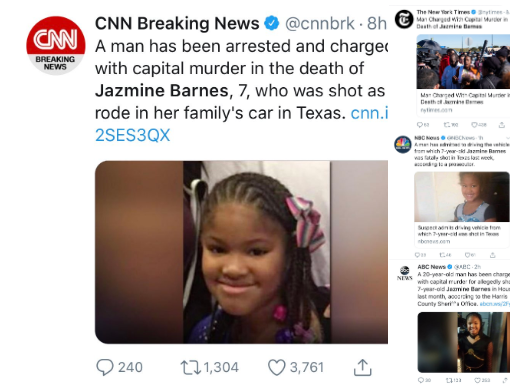 Recently Jasmine Barnes was killed and the corporate media was quick to blame a white man in a truck. 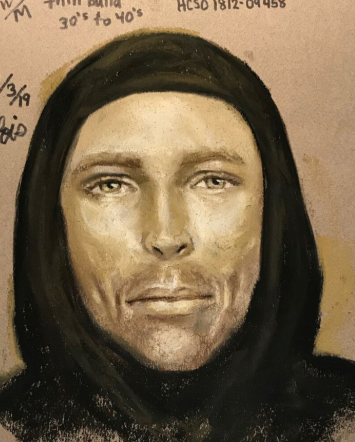 Sean King and the Sheriff knew who the killer was days before they reported it so that they could continue pushing the “White Supremacy” Fake News. I just loved waking up this morning to #FakeNews “Good Morning America” and their talking heads flipping out about the president. I keep asking myself “What’s in it for them?” as they start tweaking over censorship and the 1st Amendment when Kaitlan Collins, who was the MSM pool agent, got banned for her belligerent non-stop questioning, or yelling, following the presidential meeting where they were NOT taking questions. #FakeNews all talking about “how severe it was” and are calling for an apology saying things like “This is an attack on the free press” and they don’t mention how multiple white house staff had to repeatedly ask the press to leave for over 40 seconds saying “thank you, we’re done” as the president sits there also saying “Thank you” and patiently waiting for them to leave. Gee I wonder why people hate them so much. The hypocrisy is sky high. In the meantime you have twitter and facebook openly admitting to shadowbanning conservative and constitutionalists on their platforms. Thank god for project veritas. Now you have the super rich “parents from New Town” or as some would consider “Fake Parents from New Town” writing sob story letters to Zuckerturd & Jack-off Dorsey calling for bans. Unbelievable! When you have so many unanswered questions about Sandy Hook, and other events like 911, people aren’t going to settle down. People want their questions answered! It’s just nice to know that when it comes down to it, the “conspiracy theorists” have been vindicated hundreds of times over since long before the election. If you want to know why they are pissed and want people banned, well simply take a gander at my “Fully Informed” page.